Bill Gates, the Microsoft Corp. founder, paid $155.2 million for shares of Fomento de Construcciones y Contratas (FCC), typifying the Spanish economy’s recent growth. Gates now has 6 percent stake in the Spanish construction company, making him the second biggest shareholder. Businesswoman and philanthropist Esther Kopolwitz, FCC Board Chair, remains the largest shareholder of the company which is currently undergoing restructuring. Management was pleased with the entry: “A long-term investment by an investor of the caliber of Bill Gates is much more important than the short-term effect it may have upon the shares,” chief executive Juan Bejar told Cadena Ser radio. FCC stock rose as much as 13 percent and closed up 8.3 percent in Madrid trading. The company is currently negotiating with banks to refinance about $6.89 billion in debt and reported losses of $837.09 million for the first half of 2013. But FCC’s shares have been rising since it landed a consortium contract for the Riyadhi subway project in Saudi Arabia. The contract, totaling over $22 billion (FCC’s share is $8.36 billion), is the largest international contract in the history of Spain’s construction industry. Analysts say Spain has been attracting global investors as the economy continues to improve. A number of overseas private equity investments went into its property sector since the summer. 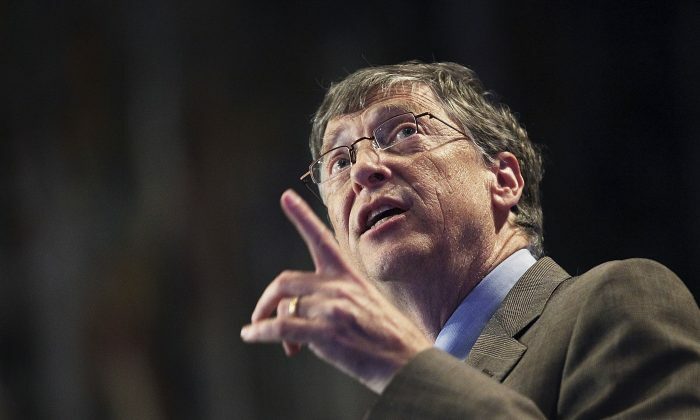 Gates currently holds the title for the world’s richest person, having reclaimed the spot earlier this year from Mexican investor Carlos Slim.